CAPE MAY —Cape May’s 45th annual Victorian Weekend, presented by the Mid-Atlantic Center for the Arts & Humanities (MAC), highlights the city’s Victorian architecture and history with a long holiday weekend of trolley tours, house tours, walking tours, living history programs, food and wine events, a crafts and collectibles show, murder mystery dinners, trolley tours and more, from Thursday, Oct. 5 through Monday, Oct. 9. Join us on Sunday, Oct. 8 at 4 p.m., as Admiral Thad W. Allen (USCG Ret.) presents “Always Ready: Stories of Leadership and Unity During Crisis” — the 6th Annual Lessons of History Distinguished Lecture Series — at Cape May Convention Hall, 714 Beach Ave. Admiral Allen’s illustrious Coast Guard career was punctuated by two extraordinary assignments, which are exemplary of the Coast Guard motto Semper Paratus (“Always Ready”) and which each demanded extraordinary leadership ability. In 2005, President Bush placed Admiral Allen in charge of Hurricane Katrina onsite search-and-rescue and recovery efforts, due to Allen’s demonstrated leadership capabilities. Given his reputation for successfully dealing with a national crisis, in 2010, President Obama assigned Admiral Allen as National Incident Commander to take charge of the total federal government response to the Deepwater Horizon oil spill in the Gulf of Mexico. This lecture is co-sponsored by MAC and Martel & Associates (Myles & Leslie Martel). A Meet the Lecturer reception will follow at 5:30 p.m. at The Mainstay Inn. Tickets are limited for this event. Prior to Labor Day, lecture tickets may be purchased for $35; lecture and reception tickets are $65. For purchases after Labor Day, lecture tickets may be purchased for $40; lecture and reception tickets are $70. To purchase tickets or for more information, please call 609-884-5404 or visit www.capemaymac.org. Carroll Gallery Exhibit “Cape May’s Stormy Past: From the Pages of The First Resort” Exhibit curator Ben Miller, author of Exit Zero’s bestselling book, “The First Resort,” provides visitors with an unforgettable look at iconic storms that have ravaged Cape May. Admission is free. Open daily during Victorian Weekend at the Physick Estate Carriage House, 1048 Washington St.; times vary. Learn about Victorian mourning jewelry and customs, including the cameo, and Victorian hair work jewelry, during Cameo Appearances & Brunch on Monday, Oct. 9 at 10 a.m. You’ll enjoy a lecture by living history presenter Thomas Tear, accompanied by brunch at the Carriage House Café & Tearoom at the Emlen Physick Estate, 1048 Washington St. Bring jewelry pieces for identification (not appraisal). Admission is $30. Cape May has one of the largest concentrations of 19th century wood frame structures (over 600) in the United States. Take a look at this National Historic Landmark City from a builder’s perspective during Behind the Walls & Under the Crawls Trolley Tour. You’ll learn about the technological advances of the era and how things really worked on this one-hour guided trolley tour. Monday, Oct. 9 at 1 p.m. Admission is $15 adults, $10 (children ages 3-12). New in 2017! During the Underground Railroad Trolley Tour on Saturday, Oct. 7 at 2:15 p.m., you will hear how legendary anti-slavery fighter, Harriet Tubman walked the streets of Cape May, as did businessman and former slave, Stephen Smith, whose railroad cars carried hundreds to freedom. Co-sponsored by the Center for Community Arts and MAC. Includes a guided tour of the Owen Coachman house (a historic free black’s house) by David Clemans, who painstakingly restored it. Admission is $15. Join in the fun at the Carriage House Café & Tearoom during An Evening of Victorian Parlor Games. Play the parlor games Victorians played, including such favorites as “Charades” and “Pass the Slipper.” Victorian dress encouraged! Limited to 35. Dessert is included with coffee or tea or bring a beverage of your choice. $15 adults, $12 MAC members. Monday, Oct. 9 at 7 p.m.
Who was Dr. Emlen Physick? You’ll get to know this Victorian gentleman whose Estate’s grounds at 1048 Washington St. are home to the Mid-Atlantic Center for the Arts & Humanities (MAC) when you see that The Dr. Is In, from 10 a.m. to 4 p.m. Sunday, Oct. 8. He’ll be happy to tell you about Victorian cures for your medical ailments, and will share his uniquely Victorian view of the world. Historic Inns, private homes and restaurants offer delicious chocolate delicacies for you to taste during the Chocolate Tasting Tour, as you tour their property, on Saturday, Oct. 7, from 1 p.m. to 3p.m. Admission is $20 adults, $15 for children (ages 3-12). See inside a selection of charming private cottages and homes not normally open to the public during the Private Homes Tour on Sunday, Oct. 8, from 11 a.m. to 1 p.m. Adult admission is $20; admission for children (ages 3-12) is $15. New house tour theme for 2017! 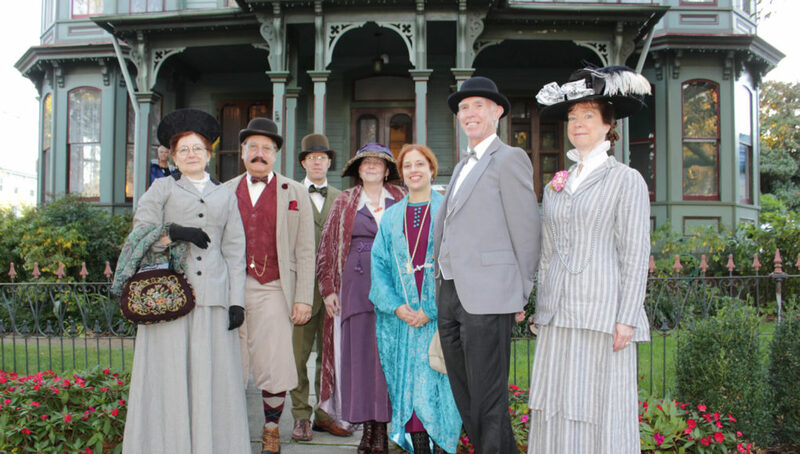 Enjoy an entertaining and educational guided tour of Cape May’s only Victorian house museum, the 1879 Emlen Physick Estate at 1048 Washington St., during the Emlen Physick Estate Tour, with the new 2017-18 tour theme, “Let’s Go Shopping! Victorian Consumer Culture.” Tours are offered daily during Victorian Weekend; hours vary. Adult admission is $12, admission for children (ages 3-12) is $8. Combine this house tour with a guided trolley tour of Cape May’s Historic District with the Combination Trolley/Physick Estate Tours, which leave from Washington Street Mall Information Booth. 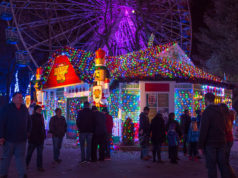 Admission is $22 for adults, $14 for children (ages 3-12). Get into the “spirit” of things on a guided tour of the historic (some say haunted) Physick Estate, 1048 Washington St., during Historic Haunts House Tours. These tours include a discussion of Victorian spiritualism, and are offered Friday through Sunday, Oct. 6-8, at 7:45 p.m. Admission is $12 for adults, $8 for children (ages 3-12). Combine this tour with the Ghosts of Cape May trolley tour during the Historic Haunts Combo Tours, offered at 7:15 p.m. $22 for adults, $14 for children (ages 3-12). New in 2017! Kick off Victorian Weekend on Thursday, Oct. 5 from noon to 2:30 p.m. with this exciting new event at the newly opened Nauti Spirits Distillery in North Cape May: Victorian Vices at Nauti Spirits. Travel by trolley from Cape May’s historic district to the distillery and learn about Victorian vices during an entertaining talk by Elan Zingman-Leith. After the talk, be dazzled by a classic cocktail demonstration. Admission is $18. Beverages available at additional cost. Increase your knowledge of wines during the Cape May Wine School Saturday, Oct. 7 at 1 p.m. This themed class “Delicious Italian Wines” will feature wines from Sicily, Tuscany, Piedmont and other regions, highlighting wines from the Opera Wine Company, a well-known Italian importer. You’ll refine your palate at the Washington Inn, 801 Washington St. Admission $40. New in 2017! Here’s an exclusive chance to see the light of the full moon from the ideal vantage point – atop the Cape May Lighthouse after a delicious dinner during Dinner & Full Moon Climb. Take the trolley to the Red Store in Cape May Point for Chef Lucas Manteca’s Tasting Menu experience. After dinner, hop back on board the trolley for a short ride to Cape May Lighthouse, where you will climb to the top to relish the full moon from the watch gallery, weather permitting. Friday, Oct. 6 at 6:15 p.m. Reservations necessary; limited to 22. Admission is $85. Chocolate lovers unite! You’ll savor seven plated courses of chocolate desserts and hear how each was created from the chef who prepared it during the Chocolate Lovers’ Feast at The Blue Rose Inn on Sunday, Oct. 8 at 1 p.m. Admission is $40. Visit Cape May County wineries and sample the unique flavors of each during the Cape May Wine Trail on Saturday, Oct. 7, from 11 a.m. to 4 p.m. Begin with a trolley ride from the Physick Estate to Willow Creek Winery in West Cape May for a wine tasting, after which the trolley will take you back to the Carriage House Café & Tearoom for a delicious lunch, followed by a trolley ride to Natali Vineyards in Goshen for more wine tasting. Admission is $60. Enjoy gracious, yet casual, dining at the Carriage House Café & Tearoom on the grounds of the Emlen Physick Estate, 1048 Washington St. with an a la carte menu that includes signature sandwiches, salads, and tea sandwiches, as well as homemade soups and quiche, a kids’ menu, plus an Afternoon Tea Luncheon featuring loose tea service with teas from the House of Tea in Philadelphia. If you have a busy schedule, everything is available for takeout, too. Open daily (except Mondays) from noon to 4 p.m. For reservations call 609-884-5111. Stroll Dr. Emlen Physick’s neighborhood on tree-lined Washington Street and hear about the families who lived there and the architecture of the homes near the grand Physick Estate during Dr. Physick’s Neighborhood Walking Tour. Explore one of Cape May’s great mysteries – why the Doctor chose to live in this area of Cape May. Offered Sunday, Oct. 8 at 2 p.m. Admission is $10 adults, $7 children (ages 3-12). Combine lunch or afternoon tea with your walk. Dr. Physick’s Neighborhood Walking Tour & Café Combo is $20 and includes the walking tour and lunch or afternoon tea at the Carriage House Café & Tearoom from noon to 4 p.m. on the grounds of the Emlen Physick Estate, 1048 Washington St. Build up an appetite with a walking tour of the Historic District, and then enjoy a Southern-style breakfast buffet at the historic Chalfonte Hotel, 301 Howard St. during the Brunch Walk on Sunday, Oct. 8 at 10:30 a.m. 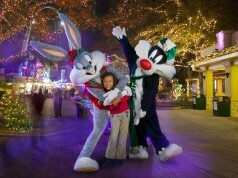 Admission is $20, $15 for children (ages 3-12). The Historic District Walking tour is available for purchase separately subject to availability; admission is $10 for adults, $7 for children (ages 3-12). Walk the grounds of the Emlen Physick Estate on Sunday, Oct. 8 during the Victorian Weekend Crafts & Collectibles Show on the lawn at 1048 Washington St. Crafters and collectibles dealers from throughout the region will display and sell their unique and hand-made wares from 10 a.m. to 4 p.m. Admission is free and free parking is available. Take a one-hour, evening walking tour of the haunted streets of historic Cape May with psychic medium and ghost writer Craig McManus as your guide. A Walk with The Ghostwriter is offered on Friday Oct. 6 at 6 p.m. and 9 p.m. You will hear stories of the houses where McManus has sensed paranormal activity. Admission is $25. Go on a clues hunt and discover answers to questions as you search the grounds of the 1879 Emlen Physick Estate, 1048 Washington St. during the Physick Estate Scavenger Hunt. Purchase a packet for $5 that includes a clues sheet and ponder the answers as you explore the estate grounds as a family or group. Learn together about Cape May’s only Victorian House Museum — one of the best examples of Victorian Stick Style architecture in the country. Available daily, year-round. Costs $5 per packet (only one packet is needed per family). Discover the fun of exploring Cape May and uncovering its architectural elements from a kid’s perspective with the Cape May Family Treasure Hunt. Each treasure hunt packet is $5 and contains a clues sheet and map that will take you on a self-guided discovery tour, set to your own pace (answer sheet also included). Only one packet needed per family. The packet is available daily in the Hill House office at the Physick Estate, 1048 Washington St., during regular hours of operation and at the Washington Street Mall Information Booth. The Cape May Family Treasure Hunt is co-sponsored by the Mid-Atlantic Center for the Arts & Humanities (MAC) and Preservation New Jersey. The grounds of Cape May’s original “haunted house,” the Emlen Physick Estate, 1048 Washington St., have been transformed for the spooky season into Scarecrow Alley at the Physick Estate. Scarecrow Alley is a highlight of the Estate’s Halloween decorations. Walk the grounds and vote for your favorite ghoulishly gruesome or foolishly funny scarecrow. Friday, Oct. 6 through Monday, Oct. 31. Admission is free to the grounds. Cape May is home to two outstanding professional equity theater companies, East Lynne Theater Company and Cape May Stage, as well as a host of talented amateur actors, playwrights and historical interpreters. New in 2017! Transport yourself to a time when entertainment was theatrical, sassy, and teased the imagination. Experience the Spectacular Burlesque Extravaganza on Thursday, Oct. 5 at 8 p.m. at The Chalfonte Hotel in the King Edwards Bar. You’ll be dazzled by this modern take on classic burlesque, rooted in Victorian vaudeville. Admission is $25. Light fare and beverages available at additional cost. For mature audiences. The scene is set for Murder Mystery Dinners by John Alvarez at the Inn of Cape May, 7 Ocean St., with the mystery: “Marriage and Other Crimes.” What happens when the family doesn’t approve of the fiancée? Mayhem ensues when the groom-to-be introduces his future wife to his family. Interact with the cast of likely suspects and try to solve the mystery. Enjoy a four course dinner as you contemplate the clues. Friday, Oct. 6 through Sunday, Oct. 8 at 7p.m. Aleathea’s Restaurant at the The Inn of Cape May, 7 Ocean St. $50 per person $25 for children ages 3-12. 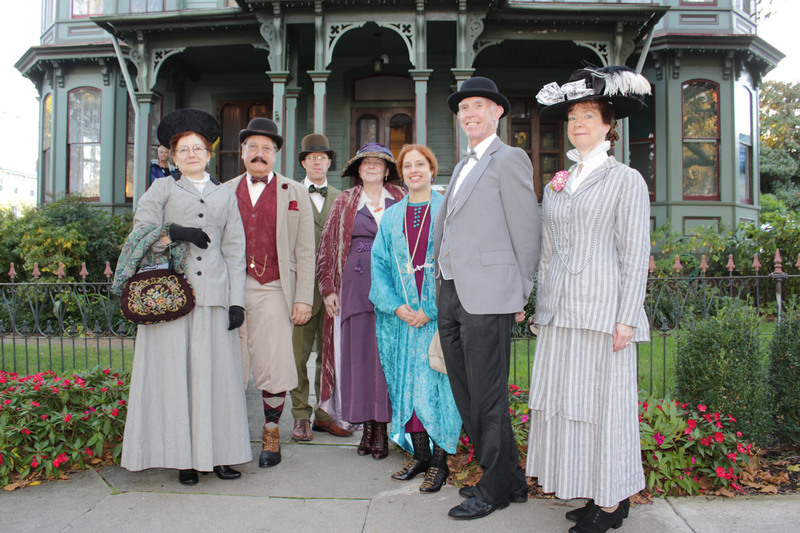 The 1879 Emlen Physick Estate Victorian House Museum is the ideal setting for the popular interactive production featuring a new mystery each year: Clueless at the Physick Estate: “Rum for Your Life” Come one, come all on a trip back to the 1930s when things were simpler and the rum was always running! See if you can solve the mysterious death in the family of a high class mob member, in the dramatic setting of the historic Emlen Physick Estate. Saturday, Oct. 7 at 6:30 p.m. and 8:30 p.m. Accessible with advance registration. Emlen Physick Estate, 1048 Washington Street. $18 per person. East Lynne Theater Company presents “A Year in the Trenches”: “A Year in the Trenches” is based on Dilkes’ book “Remembering World War I: An Engineer’s Diary of the War,” and other historical sources. Charles Edward Dilkes was born in Philadelphia, but spent the rest of his life in New Jersey after the war. Live music from the period is performed throughout. Wednesdays through Saturdays (no show on Wed. Oct. 4), Sept. 20-Oct. 14 at 8 p.m. (No show on Oct. 4) Sunday, Oct. 8 at 7:30 p.m. Wed. Oct. 11 at 2 p.m. First Presbyterian Church, 500 Hughes St. Admission: $32 general, $27 seniors (age 62+) or disabled, $17 full-time students and military; children 12 and under free. Presented by East Lynne Theater Company in association with the Mid-Atlantic Center for the Arts & Humanities (MAC). Cape May Stage presents “Outside Mullingar”: This romantic comedy takes place in rural Ireland where an introverted farmer nearing his middle years is pursued by his neighbor who vows to have him at all costs. 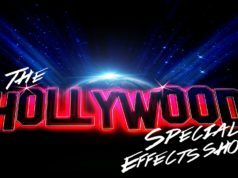 Sept. 27 through Nov. 10, Wednesdays through Saturdays at 7:30 p.m. and Saturdays and Sundays at 3 p.m. The Robert Shackleton Playhouse is located at the corner of Bank & Lafayette streets. Admission: $38 adults $33 seniors (62+) and $18 students and active duty military. Presented by Cape May Stage in association with the Mid-Atlantic Center for the Arts & Humanities (MAC). All this, plus historic sites and more, are part of Cape May’s 45th annual Victorian Weekend sponsored by the Mid-Atlantic Center for the Arts & Humanities (MAC), a multifaceted, not-for-profit organization committed to promoting the preservation, interpretation, and cultural enrichment of the Cape May region for its residents and visitors. MAC membership is open to all.For information about MAC’s year-round schedule of tours, festivals, and special events, call 609-884-5404 or 800-275-4278, or visit MAC’s Web site at www.capemaymac.org.